Prado in zero meter condition. 63k KMS Genuine milage.Bumper to Bumper genuine, scratch less and spot less in mint condition .Alhamdu Lillah. 2002 model and Registered 2014 In Islamabad. My prado is full option with electric Leather seats and genuine Navigation. 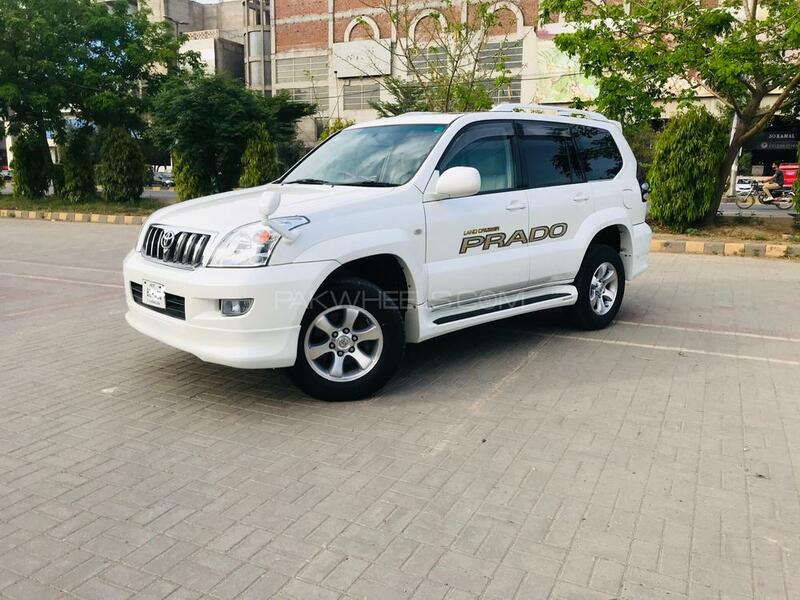 7- seater, pearl white colour with genuine Prado stickers. Search in whole Pakistan, you will never found like my prado , condition wise & milage wise.Real Low milage. Recently tune up with all oils change and brake disk pads etc. If you have real how know about low mileage Prado than call me.Price is slightly negotiable.A real gift for Prado Lovers. Brokers and dealers please stay away. I am real owner of this car and looking for serious buyers only.